Creating a will is rarely a pleasant task, and many people avoid it as long as possible. By its nature, a will requires facing the fragility of life and personal mortality. However, dying without a will puts the state in charge of making decisions, and a probate court's choices may not coincide with your own. Whether simple or complex, all valid wills give you some control over how your personal estate is handled after your death. Nominating a personal representative, or executor, in your will allows you to control who settles debts and distributes property to beneficiaries after your death. The executor -- a family member, friend or business such as a bank -- manages the estate according to your will’s instructions. If no one is nominated, the judge will appoint an administrator, explains AARP. 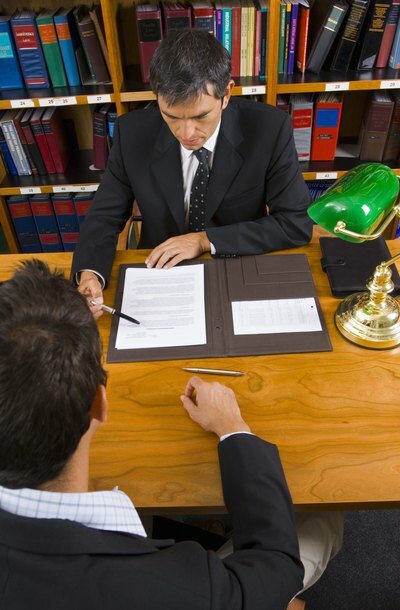 The administrator may be a person close to you, but the judge is more likely to choose a stranger or business with proven experience in settling estates to expedite the probate process. Judges also have the right to deny a person you appoint if she does not meet statutory requirements. Funeral arrangements, as well as burial, cremation or donation of the body to science, are sometimes listed in a will. It is wise to consider telling family members or friends about those wishes and organizing arrangements ahead of time. If the will cannot be located or if a delay occurs in reading the will, final arrangements could also be delayed or left for someone else to decide. Guardians for minor children are often named in a will, explains the American Bar Association. If the testator -- the will maker -- is a single parent, if the other parent is unwilling or unable to care for the children or in the unlikely event of the death of both parents at the same time, the court knows who the testator wants to care for his children. Guardianship is a hefty responsibility, so prior discussions are a good idea. A married person usually identifies her spouse and explains how her property is to be distributed to him at her death, notes attorney Cameron R. Kelly for HG.org. She may list property that he will inherit, or she may state that everything transfers to him. If she leaves her spouse out of her will, he could still inherit part of the estate. Some states allow disinheriting spouses, but many do not. Minor children may or may not be listed as beneficiaries. A testator may assign all property to her spouse with the understanding that he will care for their children. Adult children are usually named as beneficiaries if they are to inherit. Other beneficiaries such as distant relatives, friends or charities are also named and gifts to them are enumerated. Although creditors are paid whether or not instructions are given in a will, some testators explain how they should be paid. For example, a bank account may exist for the sole purpose of repaying creditors. If so, debts are paid from that fund. If money is left over after repayment, the will can assign it to a charity, trust fund or another beneficiary. If the account does not have not enough money in it to pay all debts, the will may give instructions to pull from another account or to sell certain property.